• Jon Hogue and Maria Moss – Their presentation will be “It’s A Wonderful Life”. • 3-4 Elves and Frosty/On some nights, Rudolph or Ms. Claus may make an appearance at the “Yule Log Finale”. Gatlinburg’s 38th annual Fantasy of Lights Christmas Parade will travel through downtown Gatlinburg on Friday, December 6 starting at 7:30 PM. The parade includes more than 100 parade entries, over a dozen marching bands from Tennessee, North Carolina, Virginia, Georgia, and Alabama, and giant helium balloons taking to the streets. Sevierville’s 51st Annual Christmas Parade will take place December 7th. It is a traditional hometown parade with baton twirlers, pageant winners, marching bands and floats leading up to the appearance of Santa Claus! The parade begins at 11:00 AM and can be seen at the Forks of the River Parkway and Court Ave. in historic downtown Sevierville, TN. The Smokies Stadium will be hosting Shadrack’s Christmas Wonderland. This year’s themed light show will be Santa’s Beach Party. The presentation will be open during the holidays, regardless of weather conditions. The show will begin each night at 6:00 PM and will continue till 10:00 PM. Admission to the light show will be $20.00 for cars or family vans. All tickets can be purchased on site, and you won’t even have to leave your vehicle. For more information on this event – http://shadrackchristmas.com/sevierville/. You can celebrate Christmas on Ice at Ober Gatlinburg’s Indoor Ice Arena. Enjoy the spirit of the season as local skaters display their talents on ice to the sounds of holiday music during a two-day performance. The annual Christmas on Ice Show at the Ober Gatlinburg Ice Skating Arena features local amateur skaters performing ice skating routines to traditional Christmas music, choreographed by rink instructor Devon Harman. This event will take place from December 7th – December 8th 2013. 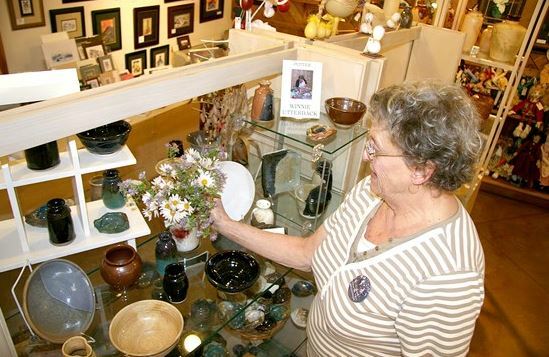 While your here, enjoy the multitude of artists, musicians, and craftsmen in the area all in one central location for the Great Smoky Christmas Arts & Crafts Show from December 2nd – 8th. It will be held at the Gatlinburg Convention Center, which is located off of downtown Parkway. As always, admission is free! 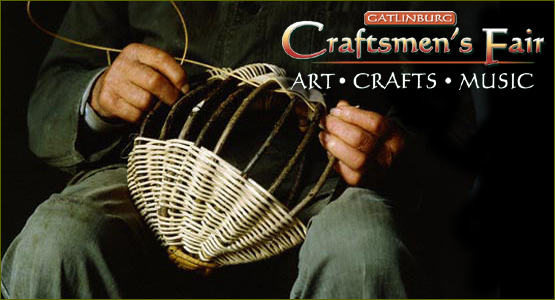 It is a great opportunity to meet the members of the nationally renowned Gatlinburg Arts and Crafts Community as they produce one-of-a-kind works of art available for purchase. If you are inspired to do some winter crafts yourself after viewing the Arts & Crafts in the area, then you can attend Arrowmont Holiday Festival on December 7th- 9:00 AM – 3:00 PM. Enjoy creative time with family and friends as you make your own useful art for yourself. Each workshop focuses on a specific media and will result in a finished product. All classes are intended for adults and children working independently or together! There is a $30 class fee per person (includes all materials and lunch) Call for more information and registration call (865) 436-5860. Looking for that little incentive to keep the kids off the naughty list? How about spending a little quality time with Santa! You and your young ones can make reservations to have breakfast & brunch with Santa at the Old Mill in Pigeon Forge on December 7th (reservations are required).